of the Student Centre, Bishopstown Campus. The Sports Office facilitates students and their club and is responsible for the management and upkeep of all sports facilities in the Institute. A section in the office is dedicated solely for club members to work on club business, design posters, make phone calls, and access the internet. The Sports Office plays a key role in the life of CIT assisting students in the running of clubs and interacting with people of similar interests. CIT participates at the highest level of competition amongst the country’s third level institutions and in the world. As well as catering for the competitive athlete, CIT’s Sports Office place a big emphasis on participation and runs a number of activities such as aerobics, circuit training, and ‘fit for life’ programmes. 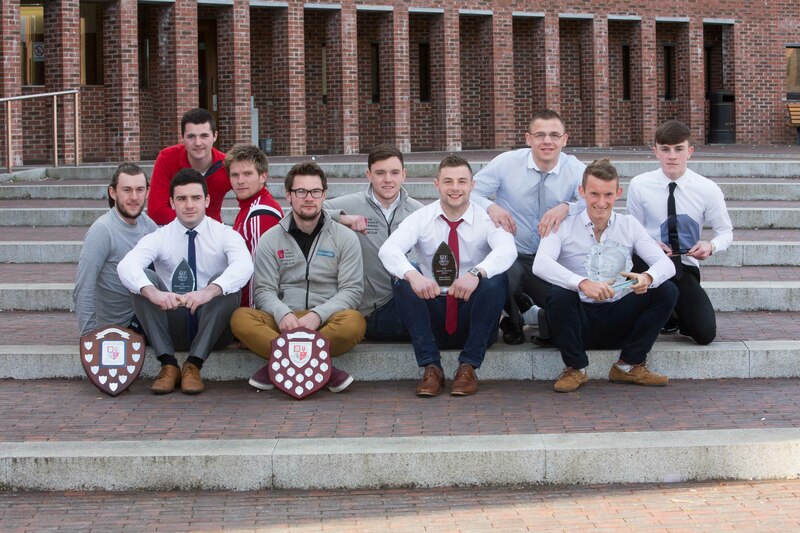 Each year CIT awards Sports Scholarships to students who display a high level of achievement, commitment, and very importantly, loyalty to their chosen sport within CIT. Scholarships are awarded across a wide range of sports and a significant number of these are reserved for first year student. Fresher (1st years) Scholarships are valued at €500 and Senior (open to all years post 1st year) Scholarships are valued at €1,000. Closing date for applications is 5pm, 25th September 2018. The service benefits to the recipients include access to CIT Sports Facilities including the Elite Gym & Weights Room, Sports Education Talks & Workshops and a Mentoring Support Network. 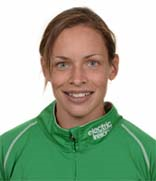 These Scholarships provide valuable assistance to students in their quest for sporting excellence. 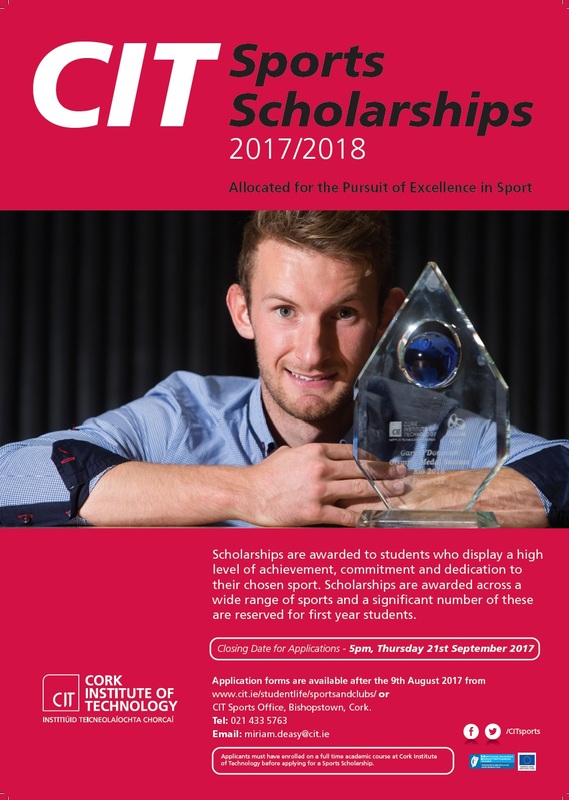 Application for a CIT Sports Scholarship is restricted to students that have met the CIT admission requirements through the CAO system and are enrolled on a programme of full-time academic study at CIT. If you believe you are of the calibre to receive a Sports Scholarship, we would encourage you to apply. The Institute allocates sports scholarships annually to students who display a high level of achievement, and are excellent ambassadors for CIT in their chosen sport. The Scholarship scheme is designed to help students reach their full potential both in their sport and also in their academic careers. 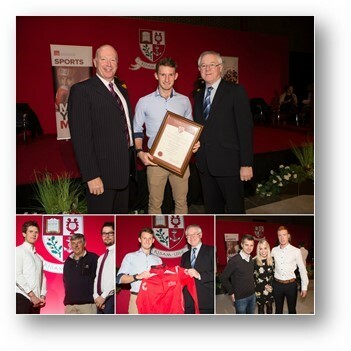 The Sports Awards ceremony has been running since 1993 and it provides the opportunity for the Institute to recognise its students who have excelled in their chosen sport throughout the academic year. 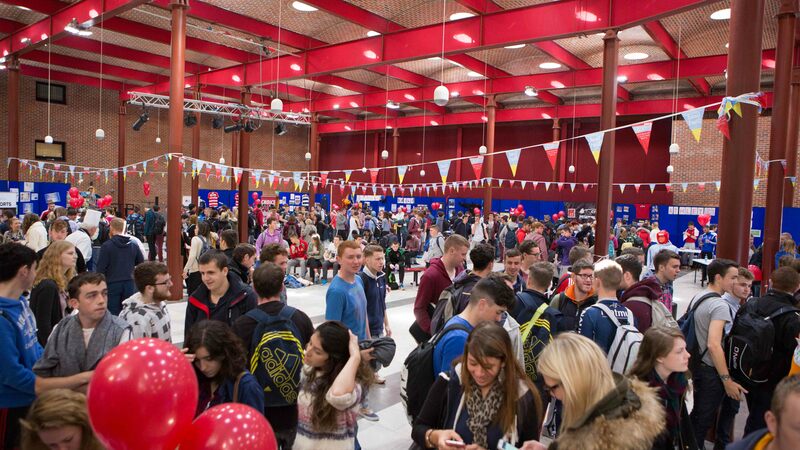 Every club and the members involved are given the opportunity to nominate a student for awards. This nomination is based on outstanding achievements in their sport and/or the organisation of clubs within the Institute. On the Bishopstown Campus, the Sports Centre is located adjacent to the Student Centre. There is a multipurpose Sportshall and an ever-expanding Gym & Weights Room along with changing facilities, housed here. Gym related questions can be directed to our gym supervisors. The sports facilities are ideally located on campus and are amongst the finest in Ireland. Sign up on Sports Day, Wednesday 13th September 2017 from 10.30am-2.30pm in Nexus, the Student Centre, Bishopstown Campus. Each club will have a stand on display with details and information on the activities of the club. Chat to existing members about what the club has to offer and sign up for free! If you miss the Sports Day, pick up the weekly newsletter 'What’s On' from the Info Desk. This gives the most up to date Club training times, alternatively drop into the Sports Office for a club contact. If you find that after Sports Day and Societies Day that your interest isn’t catered for then why not set up your own club! To ensure a successful club, a focus on both efficient organisation and the importance of fun and enjoyment is necessary. Contact the sports office for more details.